On August 21, officers of Taipei Customs (TPC), Customs Administration and Aviation Police Bureau (APB), National Police Agency stationed at the warehouse stopped a package imported from Thailand after routine X-rays showed anomalies. The seizure was 1,349g (gross weight) of ketamine in 5 packets hidden inside a black folder. TPC continued to found another 1,260g ketamine from the same shipment through its risk selectivity criteria. 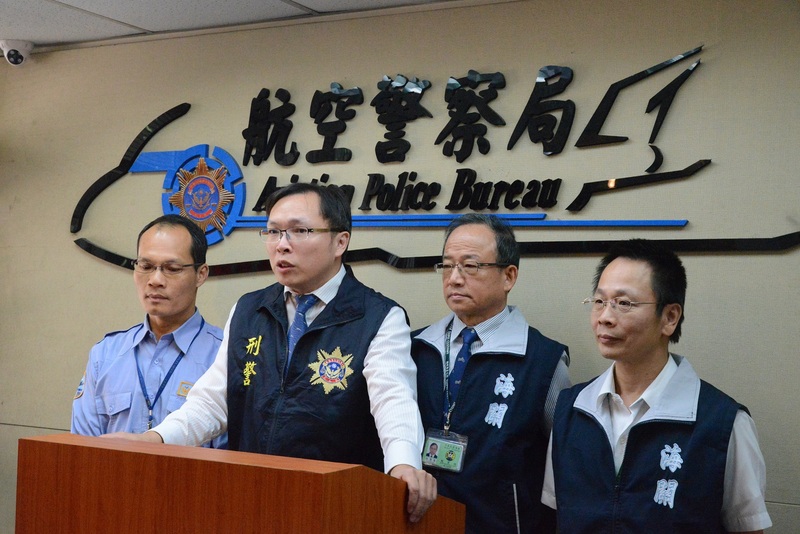 Ketamine is classified as a category three narcotics according to Taiwan's Narcotics Hazard Prevention Act, and the case was transferred to the Aviation Police Bureau, National Police Agency, Ministry of the Interior for further investigation. Through international cooperation, APB shared its intelligence and worked with authorities from Thailand to obtain criminal evidence of the drug trafficking organization, whose members were tracked down and arrested in Taiwan. Under the Narcotics Hazard Prevention Act, offenders of manufacturing, transporting, or selling Category three narcotics are subject to a minimum seven-year fixed-term imprisonment, and may also be subject to a fine of no more than 7 million New Taiwan dollars. Also, under the Rules of Awards and Penalties for Preventing Narcotics Hazard, when a violation report is identified, the informant would be rewarded up to a maximum of NT$10 million. The public is encouraged to report any suspected drug trafficking activities to the Customs by calling the toll-free number 0800-311006, or 0800-038265.